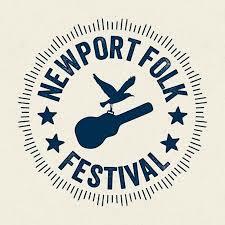 The Newport Folk Festival continues its lineup announcements! CHOIR! CHOIR! CHOIR! – This duo leads group songs; there are no auditions, and the audience is the choir. Sounds fascinating! Aaron Lee Tasjan – One of my absolute favorite musicians, I am thrilled he is on the lineup! Rhiannon Giddens – She is another one of my favorite musicians! I am delighted that she will be at the Fort this summer! I plan to post the announcements weekly until NFF has completed the entire lineup. At that point, I might offer my opinions on which acts to see, once I know who is performing which day. At this point, there are no remaining tickets, but you can sign up here for the official fan exchange. This is an amazing festival – hope to see you at the Fort!!! Posted on February 17, 2017, in concert announcements, music, Uncategorized and tagged aaron lee tasjan, boston, choir! choir! choir!, concert announcement, music, Newport Folk Festival, Rhiannon Giddens. Bookmark the permalink. Leave a comment.